The German case is Qualcomm's third attempt at blocking the sale of iPhones. The California-based chip maker has made patent infringement claims against Apple in the US and China already. 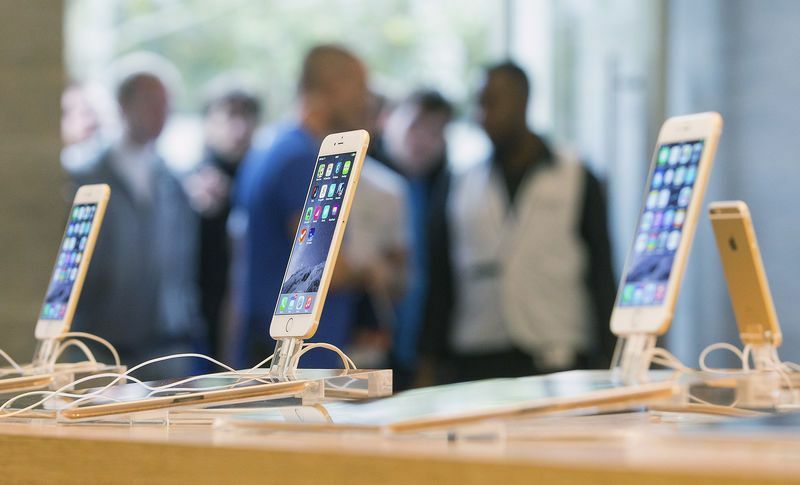 The court ruling in Munich in December included the sale of iPhones by third party sellers, such as mobile phone operator shops and other retailers, as well as those sold in Apple's 15 branded outlets. "Qualcomm's campaign is a desperate attempt to distract from the real issues between our companies," said an Apple spokesman at the time. "Qualcomm insists on charging exorbitant fees based on work they didn't do and they are being investigated by governments all around the world for their behaviour." Qualcomm's executive vice president and general counsel Don Rosenberg said in December: "Two respected courts in two different jurisdictions just in the past two weeks have now confirmed the value of Qualcomm's patents and declared Apple an infringer, ordering a ban on iPhones in the important markets of Germany and China." Qualcomm did not respond to Apple's statements.